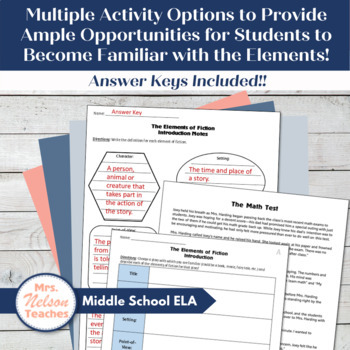 This powerpoint presentation serves as an introduction to an Elements of Fiction Unit. Included are basic definitions of the six elements of fiction: characters, setting, point-of-view, conflict, plot and theme. More detailed powerpoints on each of the individual elements are also posted on this website. 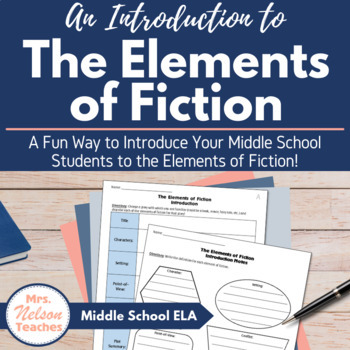 All EXCELLENT resources for teaching students the basics of fiction.